Play School Celebrates 50 Years In 2016! Since its initial broadcast on July 18, 1966, Play School has been entertaining preschoolers, providing them with new experiences and learning opportunities through music, crafts, stories, games and ideas. Play School aims to encourage a child to wonder, to think, to feel and to imagine. The program strives to reflect a modern diverse Australian society and is constantly evolving to ensure that it remains relevant to contemporary audiences, introducing new presenters, new episodes and expanding upon its digital offerings. 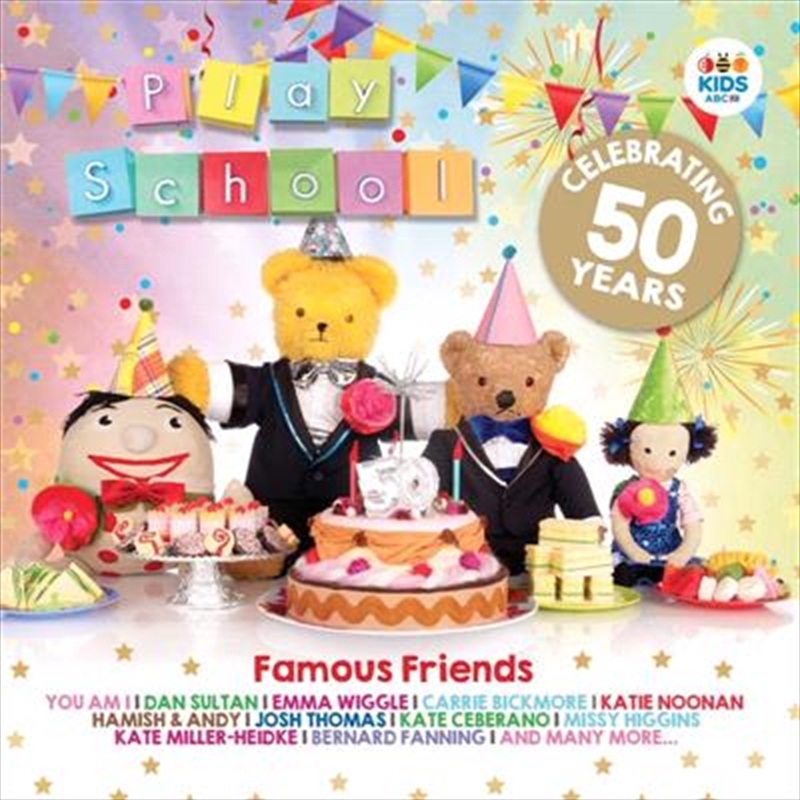 Now, as Play School celebrates its 50th Birthday, we've gathered together a bunch of our closest friends to help us celebrate, now featured on this special ABC Music release. Featuring a stellar cast of Australian personalities, Famous Friends presents all your much cherished nursery rhymes and stories performed as part of ABC TV's Play School anniversary series. Old favourites such as Benita Collings, John Hamblin and Don Spencer are joined by a wealth of Aussie talent including You Am I, Dan Sultan, Emma Wiggle, Carrie Bickmore, Katie Noonan, Missy Higgins, Josh Thomas and many more.